Choosing an access control system is an important decision for most companies. The system needs to match your requirements, be completely reliable, cost effective and more importantly user-friendly for those that use it and those that administer it. 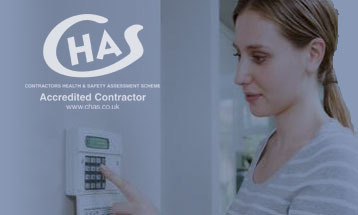 We specialise in door access control and door entry solutions. Our experienced security team are focused on supplying you with a door entry system with all of the necessary security features to fit your organisations needs. Whether it’s securing a single door, the main door to your building or dozens of doors throughout an office block, we can supply a door entry system to fit your needs. Completely scalable, our access control solutions can grow with your business and the needs of your building’s security. Our access control and door entry systems are intuitive to use and straightforward to administer. They give your company the benefit of security without being time-consuming to maintain. The increased security of a door entry system will be a benefit to all with the increased peace of mind that it brings. Invader Security can install a new door entry system or maintain or support an existing door entry system. We can carry out a free security survey and discuss your security requirements with no obligation. Door Access Control, Door Security, Door Entry Systems, Video Door Entry, Door Entry Intercoms, Door Video Intercoms, Door Card Readers, Door Security Keypads, Security Door Intercoms, Security Entryphone. Contact Invader Security today. Installation and maintenance of new and existing door access control solutions. "Fantastic service. Thank you. Got the alarm in our new house up and running with ease. Would highly recommend."